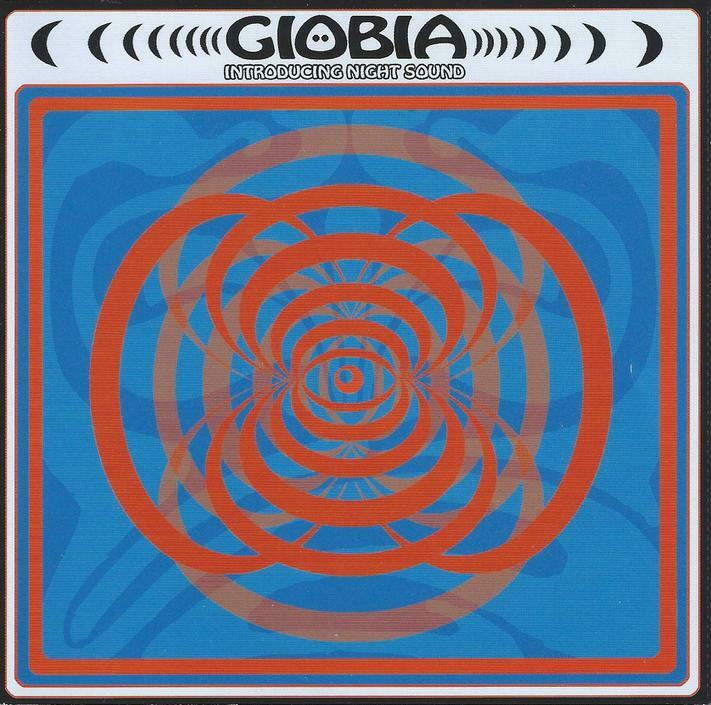 Giöbia are an Italian band I first discovered years ago through their 2004 Beyond The Stars album. In my review I described them as like Ozric Tentacles or Ship Of Fools being more song-oriented and with female vocals. Fast forward nearly a decade and we have their new album on Sulatron Records – Introducing Night Sound. Still with the band are Stefano Bazu Basurto on guitars, sitar, bouzouki and vocals, Paolo Detrji Basurto on bass (he played percussion and synths on the earlier album), and Stefano Betta on drums and percussion. And we now have Saffo Fontana on organ, synth, violin and vocals. The Giöbia on Introducing Night Sound is very different from the music on Beyond The Stars, and not just because of the transition from female to male vocals. The title track sets the tone for the album with its combination of 60s influenced psychedelia and heavy space rock with loads of very cool effects, and the bouzouki and beats giving the music an ethnic flavor. A powerhouse kick off to the album. Can’t Kill is totally trippy, with sci-fi atmospherics, classic 60s organ providing hypnotic swirl, more of the same ethnic influences, and a throbbing marching drum beat. Karmabomb has one of the best melodic hooks of the set, with a mind-bending combination of sitar and keyboards. I love the dual screaming anguished guitar melodies on A Hundred Comets, and its potent spaced out wind tunnel vibe. This song has a contemporary feel that would make a good “single” release. The first couple minutes of Orange Camel are among the heaviest rocking instrumentals of the set, and only in the last minute does it launch into the song portion, which still rocks hard and has a great combination of spaced out guitar and 60s organ. Electric Light is another trippy 60s styled psych song with a great catchy melody, a spaced out vibe, and another killer combination of guitar and organ. Silently Shadows has a stoned, lysergic love song feel, but with a strangely surreal mid-section that’s like a mixture of organ grinder and traditional Italian music. Rounding out the set are two covers. One is a rousing, spaced out take on the Electric Prunes’ Are You Lovin’ Me More (But Enjoy It Less). The other is a pulsating, spaced out, heavy psych rocking interpretation of Santana’s No One To Depend On, that takes the song into entirely new realms. Now THIS is my idea of a cover! In summary, this is a solid set of spaced out psychedelia. It’s got a great variety of instrumentation, with the bouzouki and sitar adding a tripped out ethnic style, and excellent organ and keys. I was reminded at times of Vibravoid, and at others of the late great Purple Overdose. Hot stuff. The album is being released in CD and LP editions, and vinyl junkies should note that the LP is being pressed on heavy orange vinyl (edition of 500).